How does a real estate agent start their 2019? Well, by shooting themselves in the foot; not really. It shouldn’t be a surprise to many that when it comes to selling one’s property, it turns into a little bit of a chest-beating moment. You’ve probably heard people say they received “this” amount over list price or “that” many offers; yadda, yadda, at the end of the day it only takes two parties to tango, but how you get there is the dance. We were recently at a listing appointment and a potential seller asked if we could sell their property off market and we said sure but, WHY? Now I’m sure people, especially agents, would love to jump at this chance. But I asked, what is the concern? Is it people having access to your home, time constraints or are you afraid that if you list your property for sale someone or, even worse, no one is going to like it? I once had a much wiser mentor say to me “sales is like dating.” Now I’ll spare you the details, but let’s put it this way: you’re NOT likely going to the courthouse with the first person that catches your eye and in today’s market with the amount of eyes on a limited number of properties just think of all the potential catches that are available. Now don’t chew my head off, I am sure a whole group of agents and buyers have purchased properties off plans (when building is pre-construction). 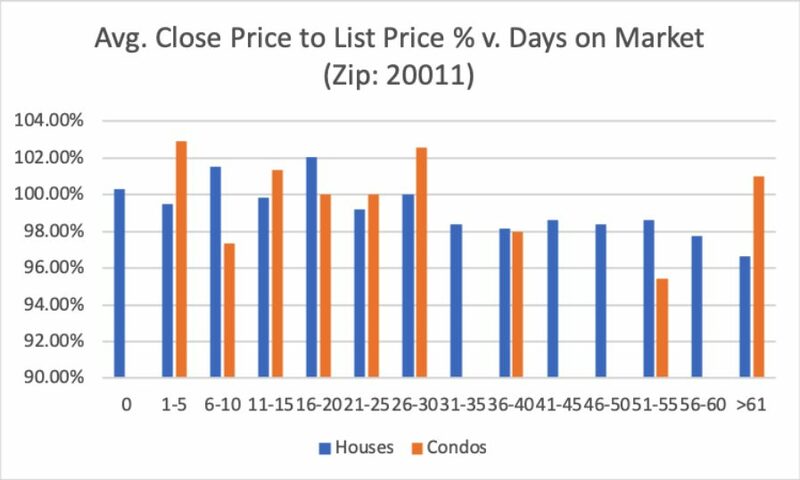 Even then, others may be competing for a particular property and the seller is very commonly heavily directing pricing; usually the seller is more than knowledgeable on real estate conditions. 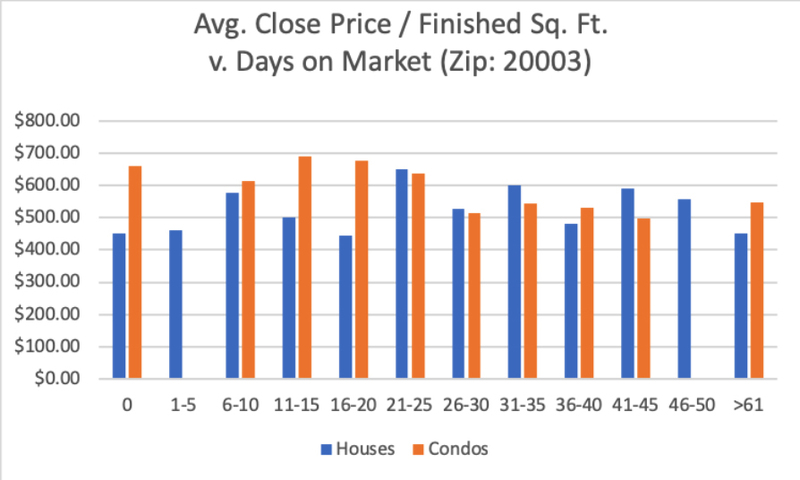 There are also lots of examples of 1031 exchanges, family exchanges, etc… but we wanted to look at the numbers for a traditional resale sale. Is there a clear winner when an off-market property sale takes place? NO. 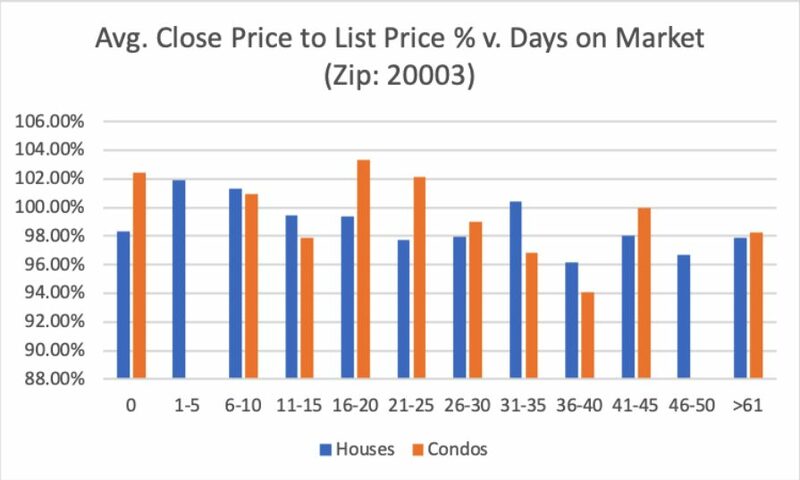 We looked at 3 zip codes in D.C. — 20003, 20010 and 20011. 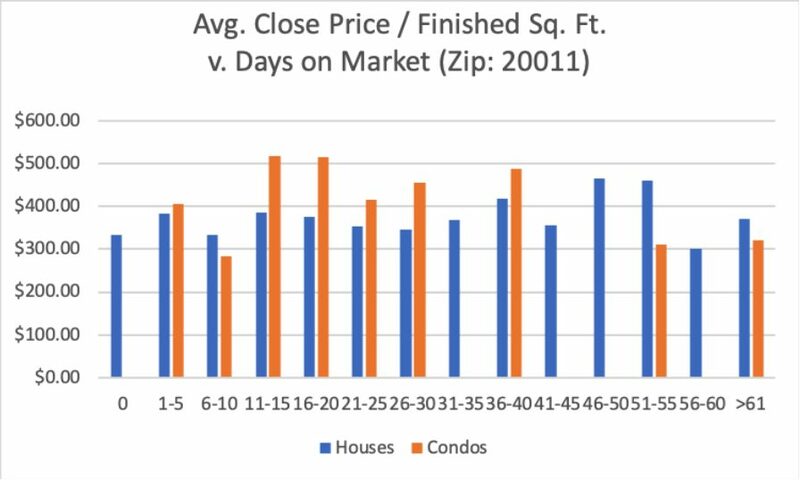 We wanted an even mix of condo/coop sales, fee-simple (house) sales and enough data to really see if it matters, so we looked at all of the transactions in the past 60 days. Now remember our blog is only 500 words and if you made it this far you’ve likely read more than 80% of our readers, high five, so I am going to keep it too the point. 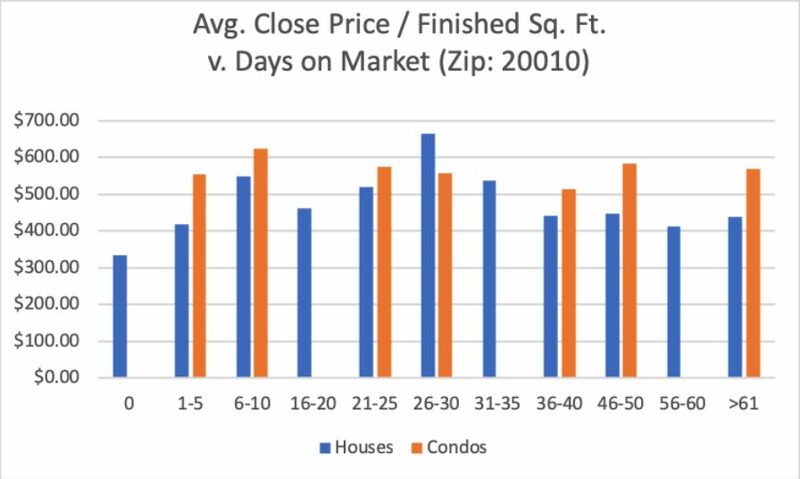 If you sold your property somewhere between 5-7 days after being on market, you generally received 24-27% more per SF than if you sold it after 0 days. 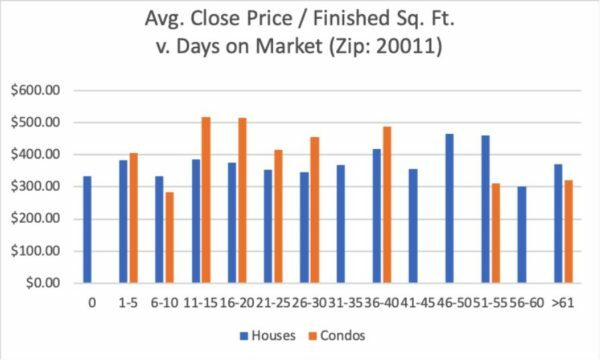 The tough thing is statistically speaking, after 7 days in these zip codes it is a linear line down to below what you might have sold off market or in 0 days. How did we know if a property sold off market? We made an assumption that if it was in the MLS for 0 days it was likely entered for comp purposes only. Any days over 0 days means it was effectively marketed for some period of time. 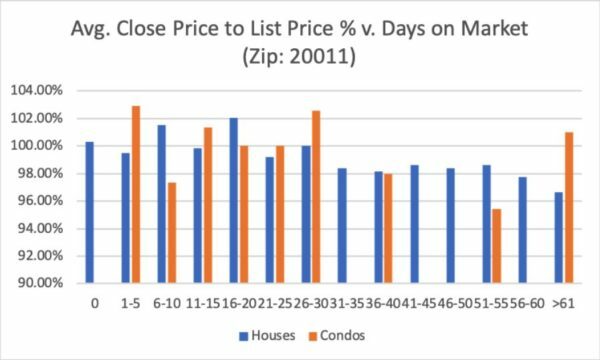 In today’s low inventory conditions even 1-2 days may be sufficient to get as many as 20 potential buyers through a property and thus accept a bid, but I understand this isn’t perfect. Oh, and no it’s not just as easy as raising the off-market price by 24-27%, why? Game Theory. Think of it this way, if a buyer and a seller are negotiating there are 2 parties at odds, but if an unknown negotiator is brought into to play it changes the dynamic. Thus, the negotiation leverage (I will not open a can of worms, I will not open a can of worms). In short: does it benefit a seller to sell a property off market? 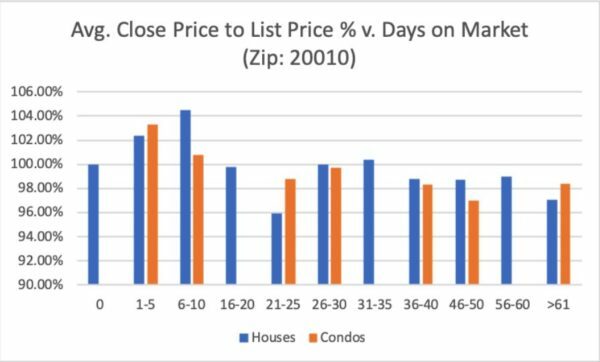 NO, NOT REALLY in today’s market unless the property fails to sell in the sweet spot for that area (again in our zip codes it was 5-7 days). If you are a buyer, should you buy a property off market? 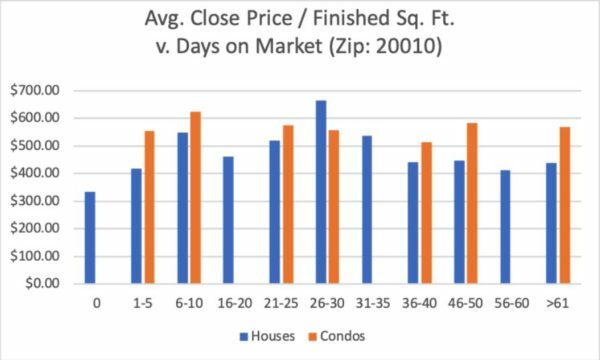 YES, UNLESS that property is unlikely to sell in the sweet spot for that area (5-7 days for our example).